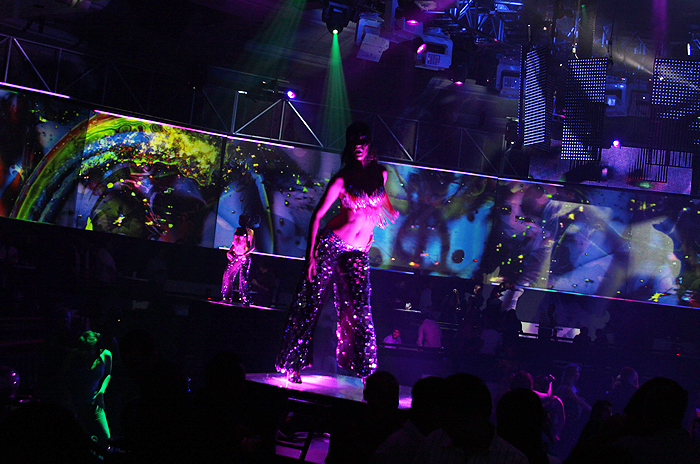 Las Vegas 2009. 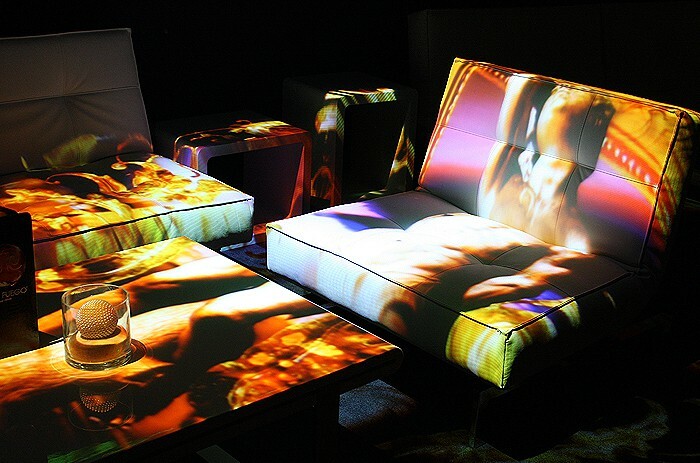 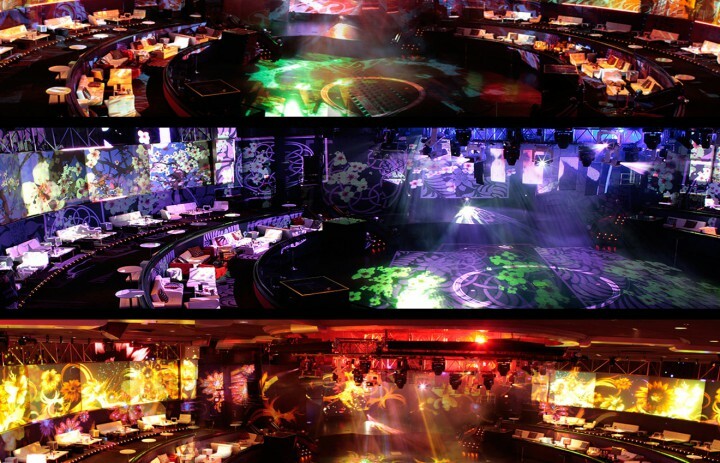 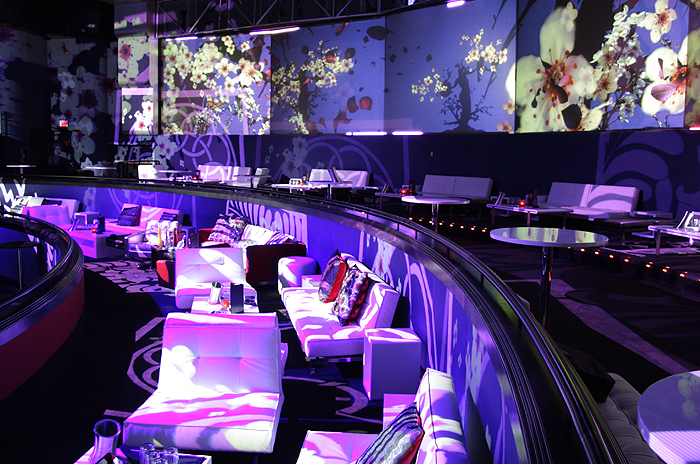 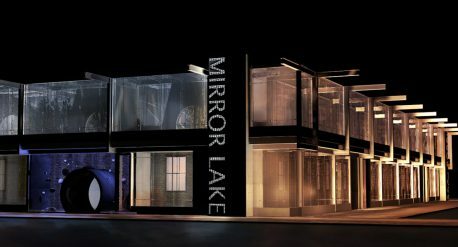 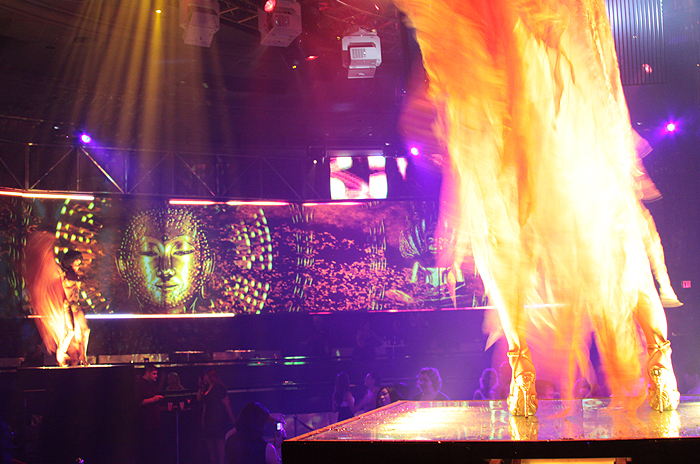 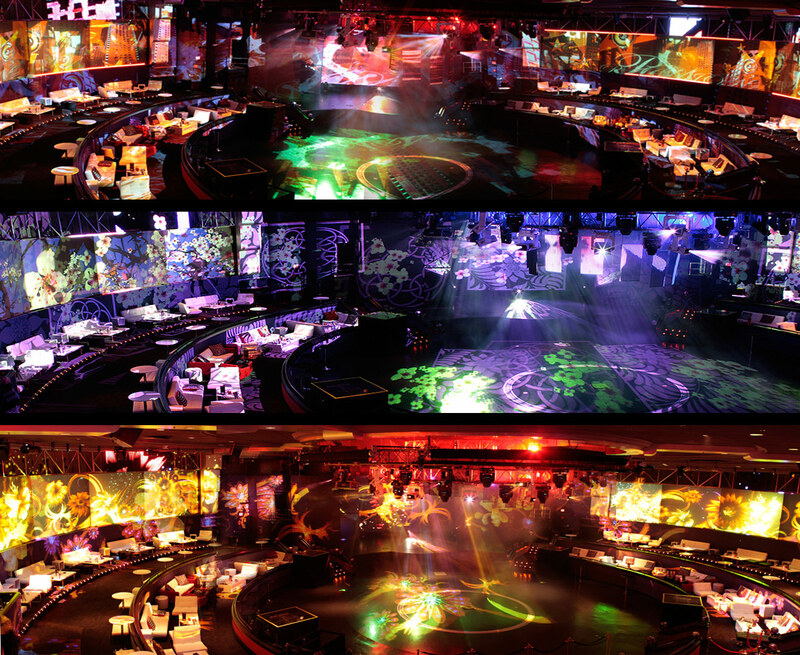 A fusion between theatrical experience and nightclub. 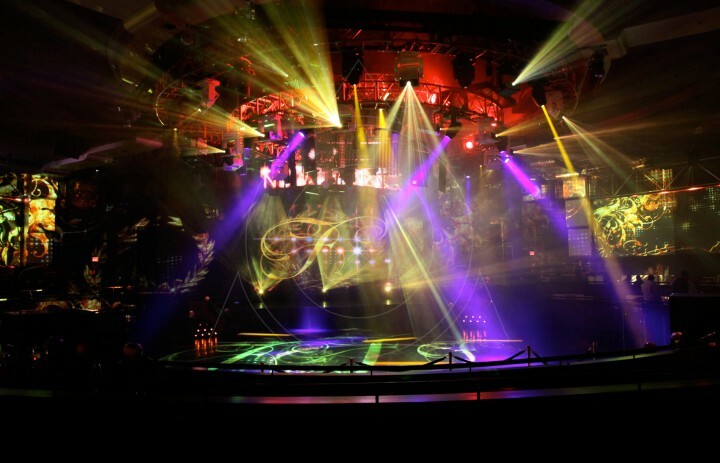 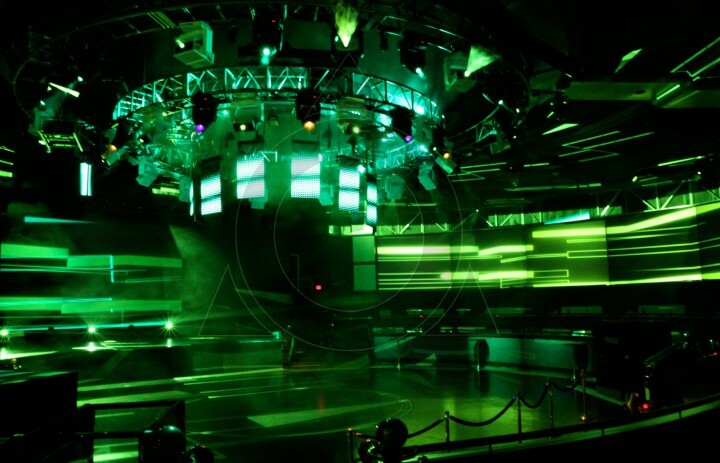 The concept of entertaining its guest with dance performances, live events and international DJ acts found an interactive environment in the Rio Casino in Las Vegas. 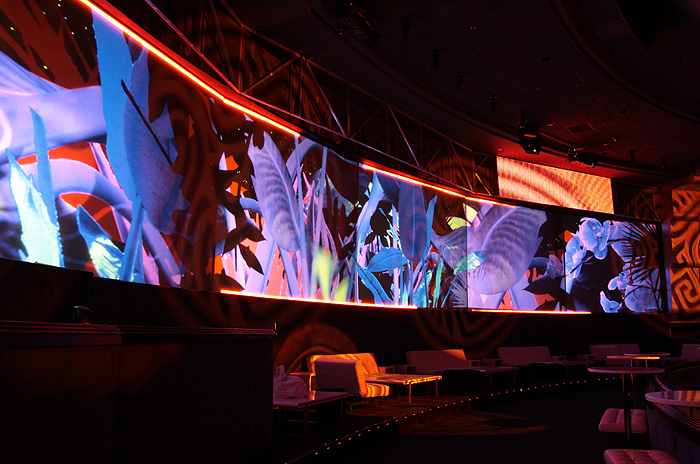 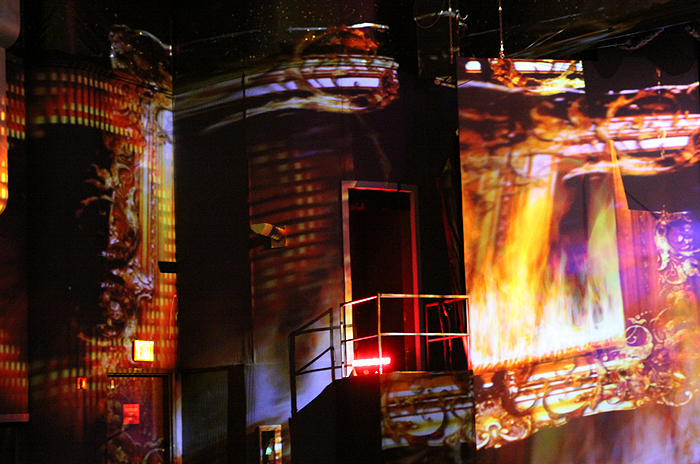 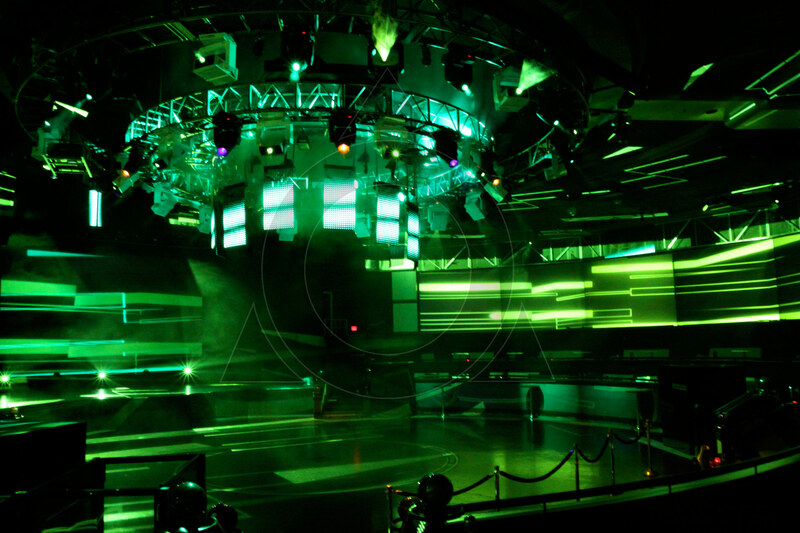 A sophisticated system of media servers, moving projectors, LED matrix and projection boxes provided artists and performers with a system that synchronized to music and scenic changes. 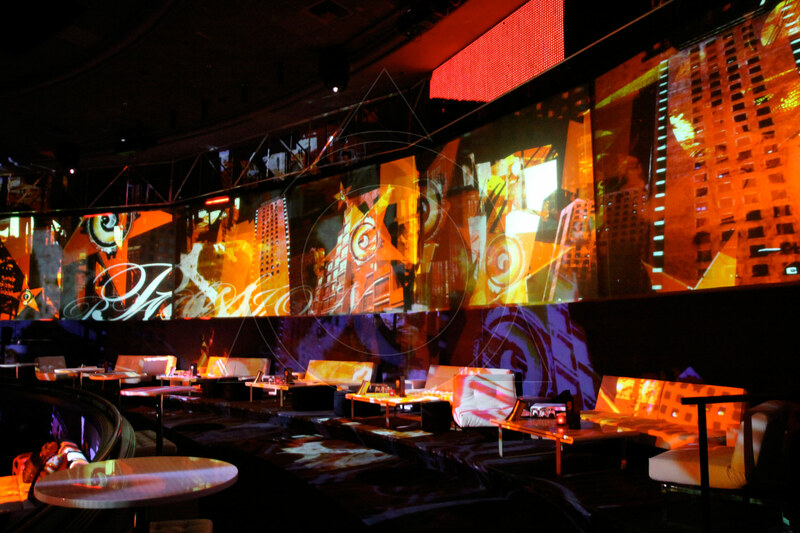 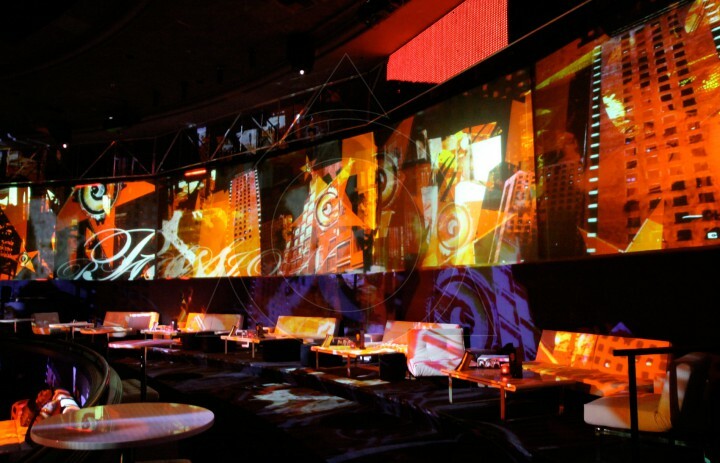 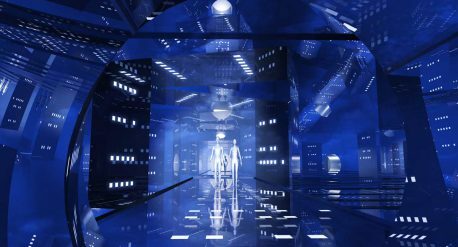 Motion graphic compositions reacted to special events, guest performances or DJ interactions to provide an endless variety of atmospheres and immersive ambiences. 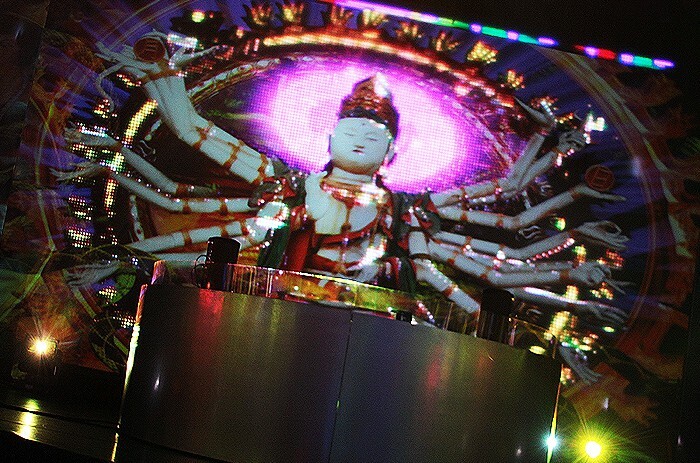 LD Ginger Corbett.